All five TEACHED short films are now available to rent or buy on Vimeo-on-Demand; go HERE to watch them now. And if your school, university or local library offers Kanopy, you can access the films HERE for free. We are so excited to be a part of this Oakland local screening at the fabulous New Parkway cinema (insider's note: amazing popcorn!). Join us at 6:00 pm for a screening of Code Oakland and learn what local social entrepreneurs are doing to ensure that Oakland youth are not left on the sidelines as the tech industry transforms the region and the world. Info here. Thanks to local teacher and founder of CODEd Academy Kennan Scott for organizing this special event at the Kapor Center at 2148 Broadway in Oakland. The evening will include a screening of Code Oakland, dinner and a discussion about the need for computer science in Oakland schools. Register for this free event here; seats are sure to go quickly! Vail is far removed from the story of Think of Calvin, which takes place in a housing project in Washington, DC, but this makes it an important venue, as TEACHED is all about opening eyes to the often untold stories that show the whole truth of our "home of the free." Details will be here. 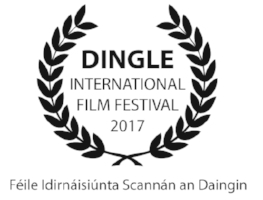 This is our first time screening a film in Ireland and we couldn't be more excited for it to be at the much-acclaimed and beloved Dingle Film Festival. Have any Irish friends or relatives? Be sure to share the news that Think of Calvin will be screened at the Dingle Film Festival this year. 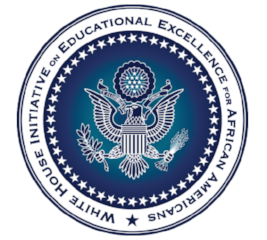 We are honored to have Think of Calvin featured in this special event at the Department of Education being organized by the White House Initiative on Educational Excellence for African Americans. if you're in the DC area, bring a teenager to this free event: SUPPORTING BOYS AND MEN OF COLOR. Tickets are available HERE. Also don't miss our interview with the initiative's director David Johns On the Loudspeaker; watch it here. Please join us for a special event featuring two new films from the award-winning TEACHED series produced and directed by Kelly Amis. Co-hosted by Georgetown's Film and Media Studies Program and its Prisons and Justice Initiative, and generously sponsored by CityBridge Foundation and the Moriah Fund, we will examine the particular "lenses" society places on African American boys and the role we all have to play in changing them. You can get tickets by clicking here! Are you a Fulbright Scholar (like TEACHED creator Kelly Amis?). If you're attending the Fulbright Annual Conference this year, be sure to catch the Code Oakland screening as part of the first Fulbright Film Festival! It will screen at 4:00 pm at GWU's Jack Morton Auditorium. The program is here! We are honored to return to the amazing Napa Valley Film Festival for a third time with our new short film Think of Calvin. This wonderful, star-filled festival, where Code Oakland won a Jury Honorable Mention last year, has supported our indie film project from the get-go. Check out the screentimes and get festival passes (and a wine glass?) as soon as you can for Nov. 9-13. We hope high school and college students will join festival filmgoers at this Northern CA screening of Code Oakland...it's a great opportunity to consider how they might plan a future in transforming the future of technology not too far away in Silicon Valley. We are honored that Code Oakland will be screened at the 19th United Nations Association Film Festival, where this year's theme is "Compass for a Better World." Our special screening will take place at Eastside College Prep in East Palo Alto and will be FREE to teachers and students and followed by a panel discussion "At the Crossroads of Civil Rights" featuring TEACHED Producer & Director Kelly Amis. Please join us; details here. We will return to the cool Williamsburg Film Festival in Brooklyn, NYC this year with Think of Calvin. This festival runs Sept. 9-11; go here for more information. We hope our NYC-area fans will attend and please send us some social media love. (Twitter: @TEACHED, Facebook: @TEACHEDFilms). Think of Calvin will have its Midwest premiere in Indianapolis at the IMA Toby Theater as part of the ten day-long Indiana Black Expo's 46th Summer Celebration. 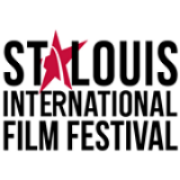 Check out the film festival, music events and special programming here. We've been invited to screen our new film Think of Calvin at the inaugural Uptown Short Film Fest being held at MIST in Harlem NY. Director Kelly Amis will do a Q&A after the screening on Sat., May 15. Get more details and purchase tickets here. 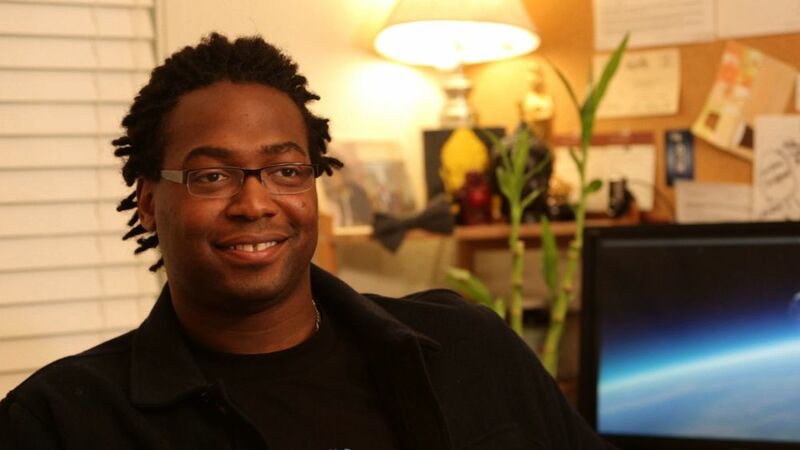 TEACHED Producer/Director Kelly Amis returns to the ASU-GSV Summit this year to screen Code Oakland and talk about changing the face and future of technology. This amazing conference brings together innovative people from across the nation and world—entrepreneurs, business leaders, educators, policymakers, philanthropists and university leaders—to create partnerships, explore solutions, and shape the future of learning. Check out the full list of speakers here. We are excited to return to the Oakland International Film Festival (OIFF) this year for the West Coast premiere of our new film, Think of Calvin. OIFF will screen Think of Calvin at the Grand Lake Theater on April 7th, and is also hosting an encore screening of Code Oakland April 8th at Impact Hub, where Director Kelly Amis will join local luminaries Chris Chatmon and Cheo Taylor on stage. Please join us! Find tickets here: OIFF website. Our award winning short film Code Oakland will be screening at Hack Reactor Onsite. This event is open to the public and is easily accessible by public transportation; so if you are in the Bay Area, make sure you RSVP for a ticket here. We are the most fortunate to be screening Code Oakland at the Women's Director International Film Festival in Rohini, New Delhi, India, a festival dedicated to showcasing the excellent work of women filmmakers from around the world. Learn more about the WDIFF here. One of the top universities in the state and county, UC Davis will be hosting a screening of our film Code Oakland to a group of educators and students at UC Davis. More details coming soon! If you wish to attend this screening, please contact us here. We have the honor to be screening Code Oakland at Solano Community College. The star and inspiration behind Code Oakland, Kalimah Priforce, will be speaking at the event and facilitating a Q&A after the screening. More details on the screening can be found here. We are thrilled to be returning to the Napa Valley Film Festival, which world-premiered TEACHED Vol. I. This year we're bringing Code Oakland up to wine country for some lively discussion of Northern California and the tech industry. Please join us there and support this fabulous festival; details here. We appreciate getting to bring Code Oakland, our short film about the potential of black youth to change the face and future of technology, to the St. Louis community. Code Oakland will screen with Rise: The Promise of My Brother's Keeper, a new film by Dawn Porter. Screening details can be found here. We are excited to be a part of "Code Word Love" a special program of CineSoul, Sacramento's Black Film Festival. We hope everyone in Sacramento can come out to the beautiful Guild Theater and support indie film. For more information, visit their website. It's amazing to think that our story about a foster child from Bed-Stuy now leading social change in Oakland is on screen in film festivals all around the world. Code Oakland is nominated for best short documentary. Check out the Milan Festival website here. The Heartland Film Festival is beloved by independent filmmakers, which says a lot. You can see how much work and passion goes into this festival by its website. Check there for details of when our short film Code Oakland will have its heartland debut! Teach for America has organized the first virtual screening of TEACHED films, focusing on The Blame Game. As a charter corps TFA teacher-turned-filmmaker, Kelly Amis will participate in this nationwide event to discuss the films and answer questions. Are you a TFA alum, teacher or staff member? Contact screenings@teached.org if you're interested in attending this special online event. "For the love of filmmakers," what a great reason to have a festival! Thank you Boise Film Festival for featuring Code Oakland in this year's event. Know anyone in Idaho? Please share the festival details with them. Just 25 miles outside of New York City, the Long Beach Film Festival will take place at the Rockville Centre with four different screening venues. Details about when and where Code Oakland will be screened will be on their website here. We are excited that the Joshua Tree International Film Festival will screen Code Oakland in such a gorgeous location. This festival focuses on connecting independent filmmakers with industry professionals. For more details, please visit their website. This great film festival--ranked in the top 20 by USAToday--is in its 35th year, so we are very excited that Code Oakland will be a part of such a great tradition with great community support. Go to their website to keep up with screening and other event details. We are excited that the Justice Film Festival is screening Code Oakland again, this time in a special event in Nashville. We hope our TEACHED Nashville friends will come out and support the festival and our film. For more into on tickets, go here. The Harlem international film festival is celebrating 10 years of bringing great independent films to Harlem. This is our second time in this film festival and we're so glad to have their support; it's a fabulous festival. For more info please visit the HI website. Everyone come out and support Temescal Street Cinema, its an free outdoor event that features Bay Area Film and Video artist outstanding work to the community.Their goal is to share the work of bay area artists and bring the community together. please visit their website and show lots of support. We are thrilled to be a selection in the "HollyShorts" Film Festival. This particular film festival focuses on presenting the best and brightest short films from all over the world. For more details please visit their website. This looks like an amazing line-up and we are thrilled that Code Oakland will be screening "across the pond" this July. Thank you to the organizers of the Manchester International Film Festival for helping us show what students can do when given the opportunity. Silicon Valley has a global impact, so why shouldn't our film Code Oakland, which shows how Oakland is transforming the face and future of technology? Thanks to the Madrid international Film Festival for featuring our newest short film. For details about screening days and times, go to their website. 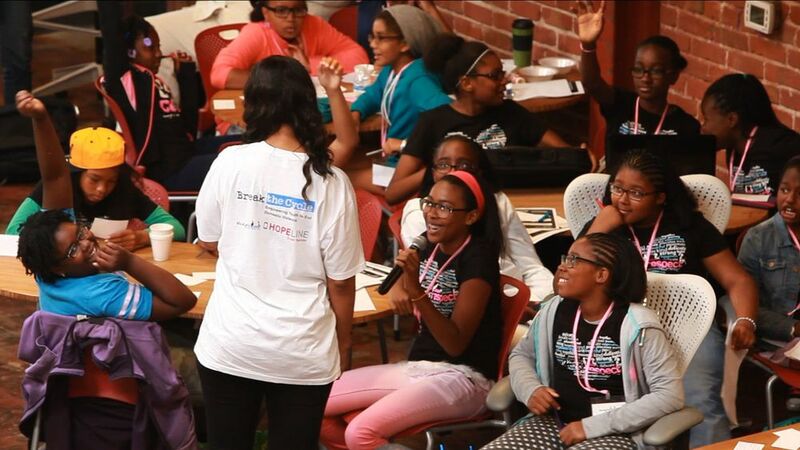 Thank you Salesforce for inviting us back to screen Code Oakland for your summer interns! We are big fans of this company because it makes social change part of its every day business and is actively helping to change the face and future of technology to be more inclusive. Director Kelly Amis and film star Kalimah Priforce will speak to the students after the screening. We are honored to be an official selection of the 2015 San Francisco Black Film Festival. The mission of the festival is to present films which reinforce positive images and dispel negative stereotypes, which is what Code Oakland is all about. We are excited to introduce the San Francisco audience to some of the heroes and up-and-coming tech geniuses right across the Bay in Oakland. For more details, check out the SFBFF's (awesome) website here. We are excited to return to Oklahoma for this festival, which is run by a stellar group of indie film-aficionados. Also, considering Oklahoma's segregation history plus recent news that showed racism continues to find a home in Oklahoma, we are glad to bring Code Oakland there to spark some candid conversation. For further details, check out the deadCenter website here. 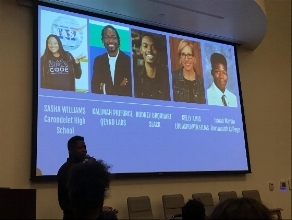 Code Oakland will be screened twice at the Hidden Genius Project's "The Brotherhood in Tech" event in partnership with the College Bound Brotherhood and sponsored by the Kapor Center for Social Impact. Producer/Director Kelly Amis will be there to do a Q&A! Know any boys in the Bay Area whose genius would benefit from what the Hidden Genius Project provides? Send them to this great event at the LinkedIn offices in San Francisco. This looks like a fantastic festival with an impressive array of films that will surely make for a provocative experience shown together. Check out the full schedule (and join us in thanking our artistic contributor Sanjay Seth for pulling together the cool image we have on their website) HERE. We have many thanks to give to Salesforce already, from sponsoring the Code Oakland premiere in East Oakland to the support they give to great youth programs like those featured in the film. We also appreciate Salesforce organizing a screening for its staff, because that is exactly how we can start changing the face and future of technology to be more inclusive, not just in the Bay Area but the world. Thank you Salesforce! Huge thanks to Oakland Public Libraries and Youth Radio for organizing this film screening for Oakland youth, which will include a mini-hackathon experience to inspire more students to learn more about tech and coding. Thanks also to the Kapor Center for Social Impact for sponsoring this screening. Independent filmmaking is truly a labor of love, but our belief in equality is fierce. So we are especially honored that our new film Code Oakland will be screened in a special Civil RIghts program in Little Rock, a city that played a monumental role in civil rights and education history: where nine black students braved a tidal wave of anger and racism to fight for their right to an equal education. The Civil Rights Short Film Block will be held on May 14th with Selma: The Bridge to the Ballot and Road to Little Rock. Get more details here. We are excited to announce that our short film Code Oakland has been selected into the 2015 Art of Brooklyn Film Festival. This is a festival that celebrates stories and filmmakers from Brooklyn, so how did we get selected for it? Because the inspiration for and hero of the film, Kalimah Priforce, grew up in Brooklyn and we return there with him to learn about his life story. Natacha Giler filmed with us that day, capturing some of the most beautiful shots in the film. Find screening and ticket details here. What a thrill to have Code Oakland screening at the St. Tropez International Film Festival in the beautiful south of France this year. Mais oui! Check here for schedule and details if you are so fortunate as to be able to attend. We're so excited to have this special event at such a cool venue -- and one where we shot part of the film no less! This is a youth-centered event to celebrate the stars of Code Oakland, especially the young up-and-coming tech stars featured in the film. Organized in collaboration with Oakland Public Libraries, Youth Radio, Downtown TAY, Black Girls Code, #YesWeCode, Qeyno Labs and other great local organizations, this fun event will include food, entertainment (the local all-girl band, Sisters Keeper! ), the short film screening and a taste of the hackathon experience. Thanks to the Kapor Center for Social Impact for sponsoring this great night for Oakland youth. Haven't seen the Code Oakland trailer? Watch it HERE. Our first screening in the midwest! We're happy to announce that Code Oakland will be featured in the JULIEN DUBUQUE INTERNATIONAL FILM FESTIVAL community. To get screening details, go here. Now in its 48th year, the Worldfest Houston film festival showcases an array of independent film from all corners of the planet, so we are thrilled that our film "Code Oakland" will be among them. If you're in beautiful Northern California, check out the Humboldt Film Festival and our newest short film, Code Oakland. Screening details will be here. If you have to "blame Canada," blame it for being so cool they not only accepted Code Oakland into their festival, they also gave a "Rising Star" award to Director Kelly Amis. Many Canadian universities and libraries have purchased TEACHED Vol. I as well, so we do blame Canada....for being cool and supporting independent film. More here. This is a very special film festival, supported by an inter-faith community that was launched by the Prison Ministry of Trinity United Church of Christ. The festival is supported by the Drug Policy Alliance and is dedicated to reducing the unjust over-incarceration of American citizens, especially people of color. Follow their website for specific screening information. This will be the first festival screening of Code Oakland in the Bay Area -- in its hometown -- and we couldn't be more excited. Thank you to David Roach, Festival Director, and the awesome crew at the OIFF for highlighting Code Oakland with two screenings at two beautiful venues. Please like the OIFF Facebook page and follow the program schedule as it develops here. Thank you to the wonderful Albany Film Fest for including The Path to Prison in your festival this year. In the East Bay? Find event details here. NEWS FLASH: There will be a second Albany screening in the fall. Check back here for details. We are honored to be included among such a diverse selection of feature-length and short films at the LAIFF taking place at the Park La Brea Theater in Los Angeles in March. Send us pics if you attend! #TEACHED Facebk: TEACHEDfilms. Thanks to React to Film and NYCAN we will show our new short film Code Oakland at the beautiful Museum of the Moving Image with guest speakers Kalimah Priforce, star and inspiration behind Code Oakland and founder of Qeyno Labs; Denmark West (below, center), start-up advisor/former Microsoft, MTV and BET Executive; and Kelly Amis, Producer and Director. We'll also enjoy special presentations from two incredible young techies, Victoria Pannell (featured in Code Oakland) and Zachary Dorcinville (star of this segment on MSNBC). film star Kalimah Priforce for joining you in ringing the Nasdaq bell! Thanks to the Kapor Center for Social Impact, the Salesforce Foundation and the Port of Oakland, this special event will premiere and celebrate the stars of our new short film, Code Oakland. In collaboration with D'Wayne Wiggins, founder of Oakland's neo-soul band Tony!Tony!Tone! and producer of Grammy-winning artists across the nation, and Zawditu Selassie, aka DJ Oracle, the Oakland premiere will include a performance of up-and-coming youth band Sisters Keeper. Many thanks to our in-kind sponsors Clos Pegase, Cal Vin & Hocks, DC Spirits, Numi Tea and Clif Family Winery. We are doing a special private pre-screening of our new short film, Code Oakland, at this historic event organized by Qeyno Labs and #YesWeCode in collaboration with Essence magazine and CodeBlack films. KNow any students in Philadelphia? Be sure to get them involved in this hackathon. Not sure what a hackathon is? Watch the Code Oakland trailer -- and get more information about the MBK Hackathon -- on its website. Georgetown University, Producer/Director Kelly Amis' alma mater, will screen TEACHED Vol. I as part of its "Education Week" with a discussion and Skype Q&A with Kelly to follow. Details and RSVP form here. TEACHED Vol. I (three short documentary films) plus two interviews from our "On the Loudspeaker" series will be screened this year at the National Charter School Association's Annual Conference, a huge event with a wide range of speakers and participants from throughout the nation. Check the schedule HERE before you go. TEACHED Producer/Director Kelly Amis will be presenting the TEACHED films and our innovative, interactive screening model to some of the nation's most impressive thought leaders in this annual conference. To see the full list of speakers, go here. The Nebraska Alliance for Quality Education in cooperation with the Student Innocence Project is sponsoring this screening of our short film "The Path to Prison" and panel disucssion with Senator Bob Krist, Omaha School Board President Justin Wayne and other distinguished speakers at Creighton University, Harper Auditorium, on April 15th. Nebraska has one of the nation's highest juvenile incarceration rates. This discussion is open to the public. We will be doing a special TEACHED screening at the Black Alliance for Educational Option's annual symposium, which is being held at the Hyatt Regency in New Orleans this year (lucky us). This screening will be private for symposium attendees and targetted at emerging leaders in education reform. To learn more about the symposium, go here. To register to attend, go to www.BAEO.org. This TEACHED screening will discuss the state of charter schools in Louisiana and nationally, addressing how to ensure the success of all charter schools and the students they serve. Our honored guest speaker will be Dr. Howard Fuller, founder of the Transformation of Learning at Marquette University and star of the TEACHED short film The Blame Game. We are honored to have TEACHED VOL. I included in the lineup for the SXSW EduFilm screenings, and are putting together a very high-powered and unique program including speakers DC Mayor Adrian Fenty, Black Achievement/Echoing Green Fellow Kalimah Priforce, Dropout Nation's RiShawn Biddle, and teacher leader/TEACHED film star Pearl Arredondo, check out the website. Huge thanks to Austin TFA Alumni, especially Lindsay Fitzpatrick, and the Alamo Drafthouse Cinema, especially Amy Averett, for organizing this special TEACHED Vol. I screening to consider the issues the films address within the Austin and Texas context. Several local education leaders will join Director Kelly Amis on a panel discussion after the films. More information on the Alamo's website. The TEACHED short film "The Path to Prison" will be shown at the Lift-Off Film Festival as part of the "Darkness Screening" on November 30. For more information, check out the festival's website. We are thrilled to have the TEACHED short film "The Path to Prison" included in South Florida's only short film festival. To get tickets to the block "Endings and Beginnings," which includes "The Path to Prison," go here. To see what other films are playing, go here. Nov. 6-8, 2013 Universities & Colleges across the country, including UC Berkeley, Stanford, Brooklyn College, Princeton, Fordham, Hamilton, Boston University and American University; for the full list and to RSVP go HERE. React to Film, a non-profit organization that engages college and high school students in advocacy through organized documentary film screenings, has selected the TEACHED short film "The Path to Prison"to be screened at its chapters before the feature-length film "How to Make Money Selling Drugs," produced by Adrian Grenier. TEACHED Producer/Director Kelly Amis will attend and do a Q&A at the UC Berkeley screening on Nov. 8th, 2013. Teach For America - Chicago Recruitment team and the Northwestern University School of Education and Social Policy will host a screening of TEACHED Vol. I followed by a roundtable discussion with Kelly Amis and the students. The goal of the evening will be to discuss issues in education reform and the teaching profession. The screening will be held in the "Wildcat Room" of the Norris University Center, located at 1999 Campus Drive, Evanston, IL. On Tuesday, October 29th, Teach for America-Chicago will hold a TEACHED Vol. I screening at Farragut Career Academy in Little Village. The purpose of this screening is to bring the community together to address education reform issues—especially those involving teachers. A panel discussion will include Kelly Amis, 90’ TFA South Central L.A. corps member and director of the film; Stacey Shells, 99’ TFA Baltimore corps member, Managing Director at Victory and a former principal with Uncommon Schools; and Leonel Gallegos, career/college coach at Farragut High School and active community member. **Seats will be limited, so please RSVP to melissa.ontiveros@teachforamerica.org if you are interested in attending**. Brooklyn, NYC: What if We...Eliminated the Path to Prison? Teach For America-New York is hosting a 'School-To-Prison Pipeline' event as part of their new "What If We...." Series. On Oct. 22, they will screen "The Path to Prison", followed by small group ideation sessions with participants and community members to help them think about how they can tackle these issues in their respective communities. Tickets and more information can be found HERE. Teach for America-Sacramento is organizing a series of three screenings for each TEACHED Vol. I short film, to delve deeply into the issues each one addresses. On Oct. 14th, they will screen"The Path to Prison" and hold a community dialogue around the issues of under-education and over-incarceration of minority males in California and the nation. Participants have the option of a free general admission screening, or a $45 VIP reception and event. More information and tickets can be found HERE. Hosted by City Square, the day will include screenings of TEACHED Vol. I, a panel discussion, and breakout session. The goal of the day will be to stimulate conversation around/create a space for awareness about education in the southern sector. In this special screening co-hosted by Education Pioneers and Teach for America Bay Area, we will consider the education reform landscape in California today, especially state and city-level efforts to transform the profession of teaching into one that is more professional, accountable and attractive. Special guests include TEACHED Producer/Director Kelly Amis, Students Matter Legal Team Member Joshua Lipshutz and SFUSD Principal Bill Kappenhagen. Tickets available HERE: food and drink will be served! Producer/Director Kelly Amis will screen and answer questions about "Unchartered Territory" during this special half-day event sponsored by the East End Chamber of Commerce, Texas Southern University and Houston Community College Southeast. Join keynote speaker Kevin P. Chavous (star of the TEACHED short film "Unchartered Territory"), Pearl Arredondo (star of "The Blame Game: Teachers Speak out") and Producer/Director Kelly Amis for a special screening of the TEACHED Vol. I trilogy of short films and a discussion of the education issues they raise. Organized by UCLA students to kick-off their Academic Inequality Awareness Week; free to the public. We are so honored for the TEACHED short film "The Path to Prison" to be included in this short-film-only festival in beautiful Taos. Go to the festival website to see what else is playing. Would love to see you there! 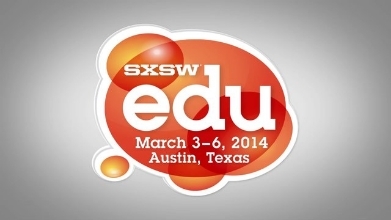 The DOE will be screening TEACHED Vol. I to a group of new charter school founders on their way to launching new, great schools for kids who need them. This is a select group and we are so honored they will have the opportunity to screen and discuss the TEACHED short films. This great non-profit has organized its own film festival for Black History Month, screening TEACHED Vol. I along with "The Angry Heart" on Feb. 28th and "Black Love Lives" on Feb. 7th. Call 413-788-6143 for further information. Thanks for students at Colby College for organizing this screening of all three TEACHED Vol. I short films. We are so honored for the TEACHED short film "The Path to Prison" to be included in this sophisticated film festival. Go to the NHFF website to check on the schedule. The Youth & Education Advocates at Stanford School of Business, along with the Stanford Schools of Education and Law are organizing this special screening on campus. Open and free to the public! We are honored to be included in the Harlem International Film Festival. Check out the full schedule because there are some great films and performances not to be missed. The address for Mayles Cinema is 343 Lenox Avenue /Malcolm X Boulevard (between 127th and 128th Streets) New York, NY. Hope to see you there. TEACHED Vol. I will be included in a short documentary film program at El Puente Ctr. on 211 S. 4th St. between 4:00pm - 6:00pm as part of this film & music extravaganza in funky Williamsburg. More details about this awesome festival here. We were thrilled to be invited to screen TEACHED Vol. I short films "Unchartered Territory," which features Friendship Public & Charter Schools Founder & CEO Donald Hense, and "The Blame Game: Teachers Speak Out," featuring the day's keynote speaker, former Milwaukee Superintendent Dr. Howard Fuller, at this special event honoring Friendship Schools' students, teachers, parents and staff. TEACHED Producer/Director Kelly Amis will moderate a panel featuring Donald Hense and Dr. Fuller, as well as Friendship COO Patricia Brantley, Friendship Chief of School Excellence Shawn Hardnett; and NewSchools Venture Fund Partner Deborah McGriff. Loudspeaker Films, Communities for Teaching Excellence and Students Matter invite you to this very special event, featuring keynote speaker Dr. Howard Fuller* and local education leaders including Yolie Flores, Ama Nyamekye, John Lee, Michael Stryer, Steve Hill and Pearl Arredondo. Filmmaker Kelly Amis will also be on hand to describe the project and welcome old friends and new. 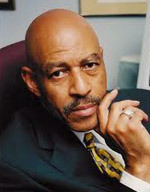 *Howard Fuller is a national leader in education reform and policy, a former Superintendent of Milwaukee Public Schools and the founder of the Black Alliance for Educational Options. Mayor Villaraigosa had to cancel his appearance due to scheduling concerns. In his place we will screen--for the first time ever--a one-on-one extended interview with the Mayor on his education reform efforts in Los Angeles. All three short films comprising TEACHED Vol. I will be screened at the third annual Film Festival of Colorado. Go to their website at http://thefilmfestivalofcolorado.org for more information. We will be screening TEACHED Vol. I at this eclectic, independent film festival in the hometown of our very own, Anne Girvin. SSFF is a celebration of independent artists' struggles and triumphs throughout the filmmaking process. We are looking forward to taking part in the 9th Annual SSFF, as Bethlehem is well known for its festivals (music, film, cultural, and food). Thank you SouthSide! TEACHED Vol. I will be screened twice at this acclaimed festival in the "dead center" of the U.S. The festival celebrates independent filmmaking and is organized by filmmakers, making it even more of an honor to be asked to participate. The deadCENTER festival has also been deemed one of the 20 "coolest" film festivals according to MovieMaker magazine, and over their 12 years has featured thousands of films from all over the world and the U.S.
We will screen TEACHED Vol. I at the fabulous CAMEO CINEMA -- one of the nation's last remaining independent theaters -- and give the audience a chance to ask questions of local St. Helena School Board members, including Cindy Smith and Jeannie Kerr, and also TEACHED Producer/Director Kelly Amis. Arrive at 8:00 to grab a glass of Girard wine and a free popcorn provided by the Cameo. Thanks to our generous local sponsors for making this event possible! We will screen all three films of TEACHED Vol. I in a special program at Sonoma featuring GUEST SPEAKER ARUN RAMANATHAN, Executive Director of the Education Trust West. We are thrilled to be a part of this highly-acclaimed festival. In honor of the festival's 15th anniversary, Sonoma festival organizers have deemed it a "Quinceañera" celebration, with a special focus on Latino and Spanish-language films. Que bueno! Omega Phi Beta and Gamma Phi Omega International Sororities are hosting a TEACHED screening in the Student Union room 214 at Northeastern Illinois University. More info here. The Unitarian Society of Ridgewood will be screening TEACHED in the Fellowship Room at the Unitarian Society as part of their Education Justice weekend. More info here. We are thrilled to announce that our East Coast Premiere will be held at THEARC Theater in Washington, DC on Mar. 9th. Guest check-in/reception from 6:30-7:30 pm; screening program begins promptly at 7:30 pm. 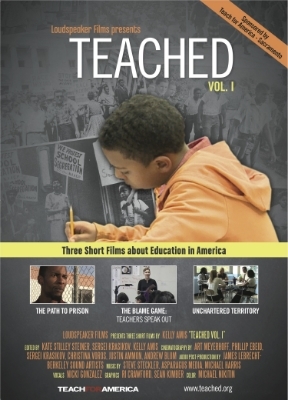 We will screen all three TEACHED Vol. I short films and hear from several amazing guest speakers, including keynote speaker former Superintendent of Milwaukee Schools Dr. Howard Fuller. Thanks to our wonderful sponsors: Building Hope, the Center for Education Reform, the Black Alliance for Educational Options and Ray's the Steaks. To organize a screening for your community, please contact screenings@teached.orgfor information about the screening rights, fees and process. The first short film of TEACHED Vol. I--the Path to Prison--will be shown at this independent film festival in New Orleans in the short documentary program. We are honored to be invited to screen TEACHED Vol. I at BAEO's annual symposium, which brings together parents, policymakers and education activists from all over the country to fight for ensuring that all African-American children have a range of high-quality educational options available to them. The DC TFA People of Color group is organizing this intimate screening and discussion at the close of Black History Month. The LMU Student Government organized this special student screening to launch their first "Education Inequality Awareness Week." Many of the students who came to the event are planning to teach or are already mentoring kids in Los Angeles, and they had great questions for our guest speakers Korey Barney (former student in South Central, who has spent too many years in prison but is now on track for future success) and local teachers Pearl Arredondo, Steve Hill, Gary Bozurich and Erin Fitzgerald. A special private screening and fundraiser for TEACHED Vol. I was held Thursday, January 19th, at the Orinda Library Theater in Orinda, CA, followed by a wine reception and Q&A session with Director/Producer Kelly Amis. The event was generously hosted by former teacher Trish Striglos and her husband Paul Scanlan. Our special program featured all three TEACHED Vol. I short films and film stars Donald Hense (bio below), and teacher Pearl Arredondo. Our teacher panel also included St. Helena's own Malcolm McClain. Directly following the screening, supporters enjoyed a Napa Valley style "school lunch" complete with some of the best wine around, courtesy of Gott's Roadside (formerly Taylor's),La Saison,Conn Creek,Sawyer Cellars and Purple Cowboy.